“Wrong target, using the wrong methods” is the message in the first of this fortnight’s SPOT Newsletter podcasts. From a lifetimes’ involvement in sport policies largely at the universities of Loughborough and Gloucestershire, Michael Collins discusses the sports policies of New Labour and the current coalition for the Sports and Leisure History Seminar. Based upon a revised version of the final chapter to his 2009 book, Examining Sports Development, which will soon also appear in article form in the Journal of Sports Policy, Collins describes the 2008-11 strategy for Sport England as a backward step made worse by coalition budget cuts. Collins believes that the ambitious targets designed to attract more British citizens to sport does not fit the available budget or the actual activities of government. Whilst the 2012 Olympics has the capacity to have a positive effect on the nations health, Collins suggests that once over it is unlikely to have the desired long term benefit due to overambitious and poorly funded policies. The second podcast this week takes an entirely different theme and focus. The Military History Seminar presents a paper by Declan O’Reilly on the topic of French resistance during the German Occupation. Focusing on Pearl Witherington’s unit of Marquis Resistance fighters, O’Reilly tackles the ambiguity of resistance; in particular the units’ relationship with the British war effort and its role in helping to raise Charles de Gaulle to power. Pearl Witherington was born and raised in France but was a British citizen. 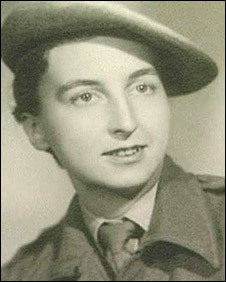 When the Germans occupied France she escaped to London and then trained with the Special Operations Executive (SOE). Wirtherington returned to France in September 1943 under the leadership of Maurice Southgate, leader of the Stationers Network. After Southgate’s capture, Wirtherington took control of the network, which was to play an important role delaying German troops during the D-Day landings. O’Reilly traces the ebbs and flows of ‘Pearl’s War’ and attempts to place its significance into context. The post-paper discussion refocuses the discussion on the nature of the evidence and in particular how the written record often conflicts with veterans memories of events. How is it that a man cannot avoid getting drunk with washer women when he knows his job is threatened by it? Why does a thief running from a crime scene stop to buy a hat? These are just some of the questions that Peter Andersson asks in his exploration of social behaviour in Victorian London streets. Last week’s Metropolitan History seminar explored trivial behaviours on the streets through stories found in the proceedings of the Old Bailey, four Constable Notebooks and a variety of other sources. The theories of the sociologist Erving Goffman form the basis for Andersson’s research and help him to explore how the city is shaped and how the city shapes the urban experience for the ordinary person. The seminar podcast is followed by a lively debate largely related to how police records can be used to explore the self presentation of ordinary people. Reality and its representation (both real and fictional) also form the basis for Scott Laderman’s paper presented to the Sports and Leisure History seminar. The constant search amongst surfers for that perfect wave brought them to Bali, Indonesia in the 1970s, just seven years after the anti-PKA massacres. Laderman tells a story of continued violence and bloodshed concealed under a fictional fabrication of a tropical fantasy world which was promoted by and for surfers. The Suharto government had recognized the potential for advertising Bali as a centre for tourism, and surfers were the first to accept the invitation. Laderman tells how surfers, largely from Australia and America, came to Bali seeking discovery and freedom, only for it to be later spoilt once tourism fully took hold. The contrast between reality and fiction forms the backbone of Laderman’s account, as he shows how the Indonesian Suharto government encouraged the creation of a myth which bore little relation to what was actually happening in the country at the time. Meanwhile, Carlos Alfaro Zaforteza provided the Military History seminar with three case studies to demonstrate the internal uses of the navy in the mid-nineteenth century. Zaforteza argues that one of the core capabilities and responsibilities of the navy was to deal with internal political strife. 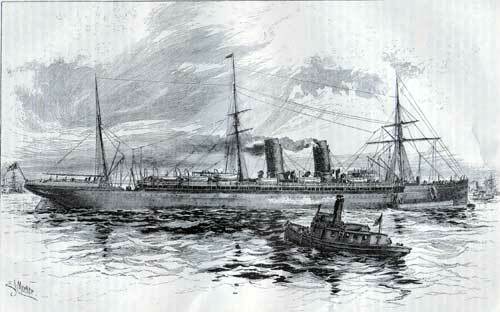 This shaped the structure of the navy and in particular, its development of stream powered ships. Zaforteza uses as case studies Turkey (its trouble spots being Crete and Montenegro/Bosnia-Herzegovina); Italy (its trouble spots being Sicily and the south); and Spain (its trouble spots linked to challenges from conservative and revolutionary radicals particularly along the Mediterranean coast). As per the previous Military History seminar we have included the post-paper discussion, which nicely debates the role of the navy as part of the nineteenth century state. Finally, the Voluntary Action History seminar played host to Eve Colpus from the University of Oxford. Colpus’ paper explored the transnational dimensions of British women’s philanthropy mainly through four short biographical case-studies: Muriel Paget, Lettice Fisher, Evangeline Booth, and Emily Kinnaird. Each of these women was active in different philanthropic ‘milieux’, and therefore came from varied backgrounds and social status. They each brought with them varying agendas and interests. Colpus focuses on the idea that inter-war female philanthropists were part of a global community of reformist social activists working towards goals of social improvement across the world. YWCA (Young Women’s Christian Association) receives particular mention as one of the oldest female philanthropic organizations, which still operates today. We hope you find these podcasts interesting and enjoyable! Look for more updates in two weeks time.